AFTER ROMEO Dish On Their Recent EP, “Good Things”, Favorite Artists, Being Compared to One Direction and More! On June 24th, the rising pop and R&B sensation, After Romeo released their newest EP titled Good Things. 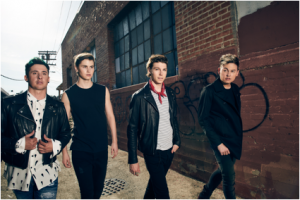 Billboard and People Magazine have coined them as “The Next One Direction.” The group is formed by Drew Ryan Scott, Jayk Purdy, Blake English and TC Carter. After running a 300-school Bully Proof Tour, which included a viral anti-bullying campaign and garnered 10,000 attendees in every city After Romeo’s social media presence and fan base catapulted across all platforms. In other news, – After Romeo was in the final top 5 of The iHeart Rising Star Contest competition! 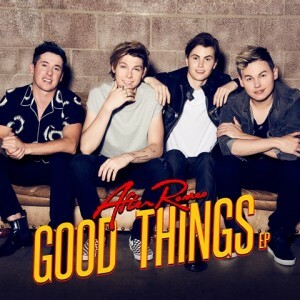 Drew: It’s been great so far we just released our EP “Good Things” to really positive reviews. We also debuted an international Samsung commercial. 2016 has been a great year for us so far with a lot more coming up. 2015 was a chill year for us,we did some touring but we also took some time to work on our new sound. We wanted to make something that was fresh and really felt like us, something more real. Jayk: 2016 has been incredibly exciting, busy, and intense. We were lucky enough to be included in the iHeart radio “Rising Star” contest where we finished top five! We also shot a global commercial for Samsung that included two of our original songs. Last but not least, we released our EP “Good Things.” We are so stoked for everyone to hear it and we really think everyone is going to enjoy it! Blake: 2016 has been jam-packed. From releasing our EP to competing in the iHeartRadio contest to doing a Samsung commercial…. we’ve been busy to say the least. TC: So far, 2016 has been amazing. We shot a Samsung commercial that featured two of our songs and released our EP “Good Things.” On top of that we have done lots of performances and interviews, which we love and when we aren’t working we are soaking up the summertime sun! In 2015 we got to tour all throughout the summer, which was a lot of fun. Then we took a little bit of a break before we started recording our EP last November/December. Can you talk about how After Romeo was first formed? Why do you think you all work so well together? Drew: We are childhood friends. Jayk and I are from Vegas and Blake and TC are from Georgia. We work well together because have great chemistry, we get along and respect each other. We’re like a family. Jayk: Drew and I grew up in Las Vegas together. We decided to move to Los Angeles to pursue a career in music. Through a mutual friend, we met TC playing basketball and he introduced us to his childhood friend, Blake. We’ve all had performing arts training growing up so it was kind of an easy fit. Blake: Drew and Jayk grew up in Las Vegas together and moved to LA to pursue music. Through a mutual friend they met TC and I was later introduced to them. It works so well because we were all friends before we started to make music. TC: Drew and Jayk moved from Las Vegas to LA to pursue music. I was invited over by a mutual friend one day to play a pick up game of basketball at their place. The three of us clicked really well and started hanging out and writing music together. A few months later my childhood friend from Georgia, Blake, moved to LA. I introduced him to the guys and it magically worked. I think we’re genuinely respectful of each other and we know each other’s strengths and weaknesses so we know how to play to that person’s strength to get the best out of each other. You have been called the next One Direction. What does that mean to you guys? Drew: They’re super talented and super successful so we don’t mind being compared to them, but we think when people get to know us and our music they’ll see the differences between us. Jayk: It’s incredibly flattering and very humbling. We are fans and we think their music is awesome. It’s always nice to be compared to someone incredibly successful. Blake: I think it’s super flattering!! 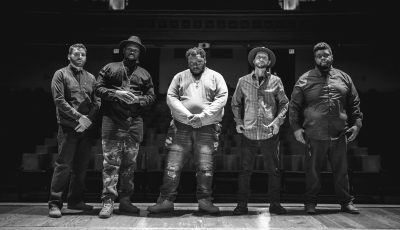 To be compared to a group that has been so successful in the past is something that we are truly gracious for and we plan on making our careers with the band just as successful! TC: We’re flattered that people would say that, considering all their great success. Hopefully we can follow in the footsteps of these great bands and be a good influence on people all over the world. You are about to release your newest EP, “Good Things.” Can you talk about how your sound has grown on this collection of music? Drew: It’s a lot more of our true sound. We took time to create something that felt real for us. Jayk: We really wanted to create a sound that showcased all of our influences and strengths. We had a writing camp around the holidays, wrote a bunch of songs, and then selected the songs that fit best. Also, we wanted to show what we were capable of vocally and I think that really shows in this EP. 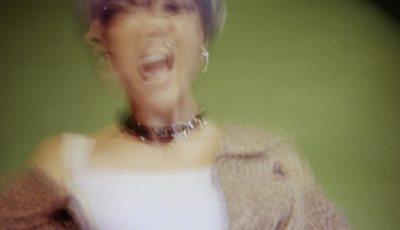 Blake: We spent a lot of time creating a unique sound that’s individual to us, this EP really takes into consideration the tastes of each member. We took things from our past, present, and what we hope to be future and created lyrics and production that best reflected those things. TC: Our music now is just more real, for a lack of a better word. We believe in this album so much. What was the inspiration for your singles “Convenience” and “Good Things”? Can you talk about how you all go about writing songs? Do you take turns? Drew: “Convenience” was inspired by real life situations. You know how you have that someone who calls you in the middle of the night after they’ve been out at the club or at a party, but they don’t call any other time, and you’re so into them you give in? That’s pretty much the whole story. “Good Things” is all about helping someone get over their last relationship and helping them realize some guys are actually good and will treat you like you deserve to be treated. We start with guitar chords and map out the chord progressions. Then we make melodies and add lyrics. Some songs take longer than others. Some you write in 20 minutes! Jayk: The inspiration for those songs is just real life situations. We are all going through different things in our private lives, so why not use that energy and put them into songs? We usually come up with the concepts by asking, “what’s going on in your life?” to each other. We don’t really take turns. It’s just up to whose concept fits the music and is the most interesting. Blake: Both songs were inspired by real life situations. We write our songs based on what is going on in our lives directly. TC: We were inspired by everyday life. Who are some of your favorite artists? Who would you guys love to work with in the future? Drew: Elvis, Justin Timberlake, Beach Boys, The Monkees, Troye Sivan would be awesome to work with. Jayk: Some of my favorite artists are Justin Timberlake, Prince, and Michael Jackson. They’re all so unique in their own ways and know who they are as artists. We would love to work with Justin Timberlake, Troye Sivan, Bruno Mars, Beyoncé, and Taylor Swift. Blake: I love David Bowie, Stevie Nicks, The Dresden Dolls, Sia, and so many others. I would love to do collaboration with Sia. She is just out of this world with her talent and abilities. TC: I love Justin Timberlake, Chris Brown, Ed Sheeran, Fallout Boy, and Panic at the Disco. I would love to collab with all of those artists plus EDM DJs like Diplo and Skrillex. Drew: We just hope they don’t take life too seriously and learn to enjoy every day rather than focus on the negative and bad stuff…smile and enjoy! Jayk: We like to spread good vibes and positivity. If you’re having a crappy day and need a little escape just pop on some headphones and get away for a little while. Hopefully we can put a smile on your face and get you dancing a little bit. Blake: For me it’s kind of about being able to take the torch and then pass it. By that I mean, music has been and will continue to be a huge inspiration in my life and is the primary reason why I do what I do. Through my music hopefully I can inspire kids and people just like me to do what they love as well. TC: We want our listeners to be able to listen to our music whether they’re feeling happy or sad. All of the messages in our songs are real, so hopefully listeners can relate to it, and use it to help them with any problem they are going through. Is there anything else that you would like to share with our readers about yourself and your music? Drew: Thank you to our fans for helping us out and being there for us! We love you guys so much! Jayk: Thank you guys for your love and support! We can’t wait to see you on tour, so get ready! 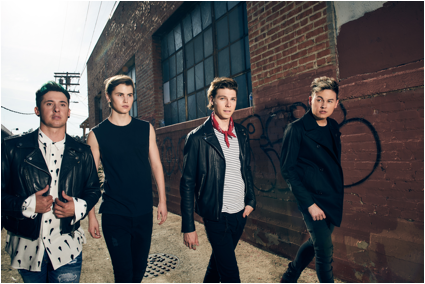 Follow us on all of our social media too @afterromeo. Blake: We really hope we get to meet you on tour! Get ready for a crazy stage show and tour. Follow us on all of our social media sites. It’s just @afterromeo . Thanks again! TC: Thank you to the ARmy for all your love and support! We can’t wait to get the full album to you all and start touring! I love you guys!! Indie Electro-Pop Artist GIIA Chats About New Music, Her Opera Background and Much More! 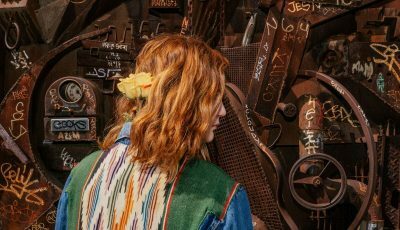 An Interview With Country Singer-Songwriter Newcomer Chelsea Gill!